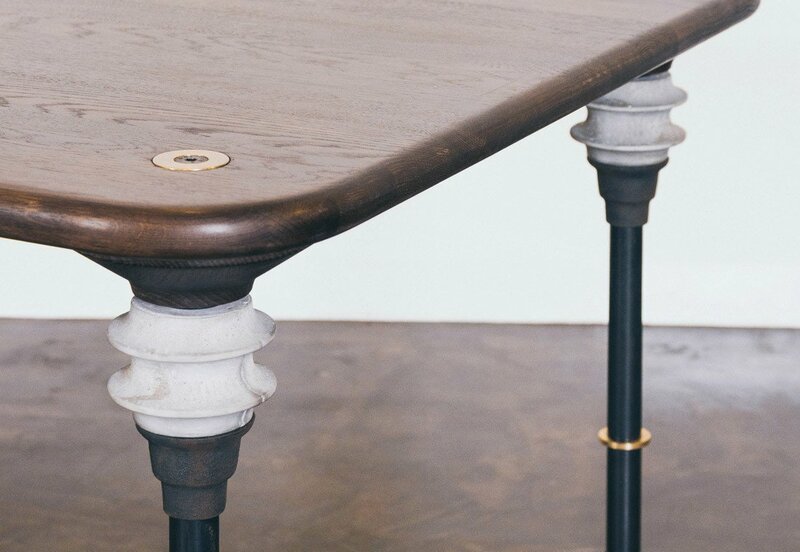 The Kimbell Dining Table is inspired after the Kimbell Museum and offers brutalist industrial feel in any room setting. 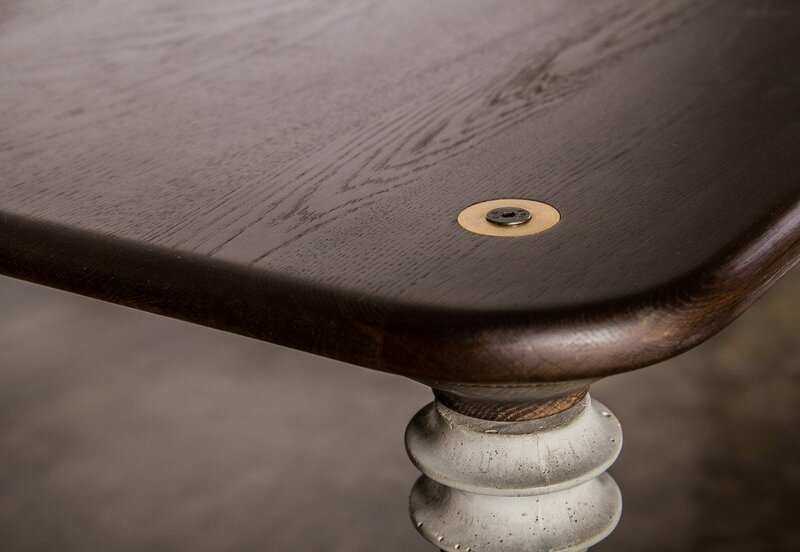 Kimbell is engineered using a combination of solid materials to bring you this solid table designed to last for years to come. 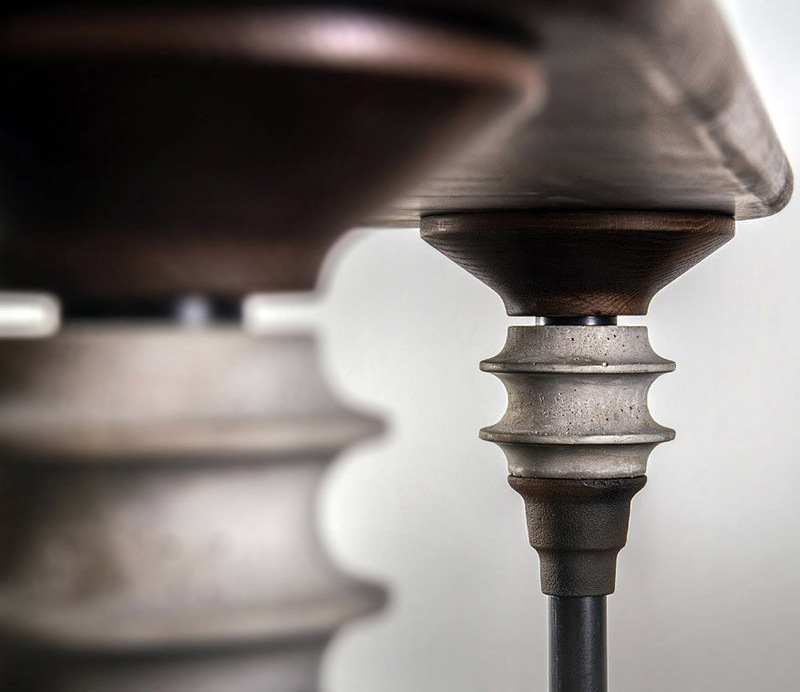 Construction begins using handcrafted legs made of wood, sculpted concrete, steel and brass. Resting atop the creatively designed legs rest a solid oak top, available in both charred black and smoked oak. 78¾ x 35½ x 29½"